male pattern boldness: How Much For A Vintage Pattern or "10 bucks -- for THIS?" 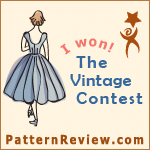 Yesterday my vintage Vogue Comeback dress pattern arrived in the mail. Now I think most of you know that I am not a pattern collector. I pretty much buy only what I think I am going to either a) make myself, or b) give away to you guys. As long as the pattern pieces are intact I don't really care about the condition of the envelope or whether the pattern is yellowed or smells like mothballs. I do like to see how patterns are drafted and it's fun to be able to say, I made Vogue/McCall's/Butterick/Simplicity number whatever and Voila! I also have a blog to write and these kind of things keep it interesting. When I read about other people's self-drafted projects, my mind wanders. So this brings us to yesterday. I was anxiously awaiting the arrival of my Allan doll complete with wardrobe and vinyl carrying case, which failed to arrive, though I did receive an email confirmation that it had been sent -- sent yesterday, when I'd paid for it five days previous, immediately after winning it on eBay. Don't you think that's a little late if, admittedly, not in violation of the rules? I do. But I digress. I got the pattern. Version C is a two-piece bodice and a sleeve and a really wide skirt. That's it. Since I have already drafted a bodice for myself last summer -- twice -- and I am fully capable of cutting a huge rectangle, what exactly am I getting for my $10? There wasn't even a toy surprise. I guess I am starting to realize that a lot of these patterns are identical to each other, more or less. Unless I'm making something complicated, I can probably do it myself and get something that fits from the get-go, or very nearly. Remember this Ann-Margret-in-The-Pleasure-Seekers-inspired number from last June? But enough venting. I am happy to have the pattern if only to it share with you, but that might not last forever. Look at the size of the skirt. That's like seven feet and it's cut on the fold, so double it. Huge! 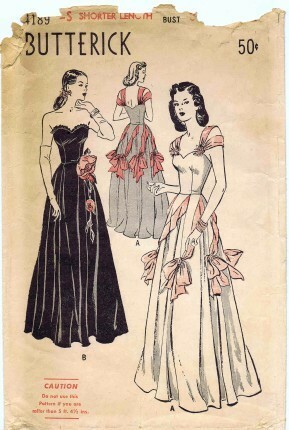 In closing, wise readers, do you buy commercial patterns, new or old, in hopes that you'll uncover some precious secret to dressmaking only to discover it's the same old thing and you really don't need a pattern to draft a well fitting bodice, let alone a waistband, pocket, or collar facing? Would you pay $174.99 for this on Etsy, even with the "protective plastic self-seal bag" it comes in? How much is too much to spend on a vintage pattern, do you think? And are you buying it for the artwork or the pattern or something else? I know some vintage pattern sellers are going to take offense, but honestly, don't you think this money could be better spent on doll clothes? this is a great question and one i think a lot of sewists deal with as their pattern collection expands. i've definitely noticed that i can reuse TNT pieces to recreate a design i like in a pattern envelope, especially if the seller is kind enough to post pictures of the pattern pieces. that said, i still revel in a good detail from a vintage pattern--it's that detail that will make me "commit to buy" when i can otherwise muddle through on my own. Two things to say. 1) Pattern drafting software and a good drafting book; 2) $175 buys a lot of fabric in the garment district. A little mini vacation there. I agree about the pattern drafting book - once I got "Make Your Own Dress Patterns" by Margolis I was amazed at how many interesting details I could do myself, and how easy most of them are. Oh my gosh! I fully agree. I hate buying patterns anymore, I figured out how to draft my own, and now, every time I look at a pattern I think, "Is this really worth is?" And 10 out of 10 times it is NOT! Like a couple years ago I paid $10 to buy a cloth diaper pattern from Etsy. All the woman had done was trace the shapes of disposable diapers. Plus, she gave horrible information about the types of fabric to buy and the fasteners. Yeah, so not only did I spend money on the pattern and all the supplies but I had to get rid of all of the diapers I had first made because they were stink holders. YUCK!! After that I vowed only to buy a pattern if it was really, truly worth the money, and 10 out of 10 times, it's not. Now that I have basic pattern cutting skills I have had to ban myself from buying certain patterns, and it's tough. I also won't buy a pattern that costs more than £3 plus postage, and that's tough too. I think it's so difficult because the pattern envelopes are so lovely, and they serve as inspiration when my own fails me. I buy the vintage patterns just because they make me smile. I like the artwork and the history/mystery behind them. I tend to make up stories about how they were used... "Oh, I bet this was a dress for a first date... bridesmaid... simple wedding..." However, I usually don't pay more than a dollar for one at a thrift store or yard sale. $175 could buy a LOT of fabric, there's no way I'd pay that for a pattern. I have inadvertantly become a collector of vintage baby sunsuit patterns (?!) over the last year or so. I've got an almost one year old, and the thought of her toddling around in these backless, strappy, smocked little numbers fills me with glee, so I supoose I'm also buying the 'fantasy' when I buy the patterns. That said, I DO actually sew these things - I don't like, archive them for future donation to the sunsuit museum. So to see some of these vintage patterns [not] going for upwards of 60 dollars, it does offend slightly. I realize that vintage patterns have value and I respect their sellers for insisting on that value, but imho, when one person is selling pattern 'A' for x amount, and another person is selling same pattern 'A' for x times 10, there seems to be an abuse of privilege - the privilege being ownership of said pattern. I have nothing against the sellers of these patterns - they can put whatever value they see fit on their pattern. Do I have to agree with that value? No. Will I be buying from them? Absolutely not. I want to sew these things, not gild them. I buy patterns because I sew for my kids (3) and they grow in between wardrobes. If I had to redraft their patterns each year, I'd be spending more $ in my time than I could spend in patterns and materials. So they are worth it for me to buy. However, I too, find that everything is a play on the basics. There are very few clever/original/designs that cover the human body in a new/novel way. I buy vintage because I enjoy the detail and construction techniques as compared with modern patterns. Not to mention the style sense is MUCH better. Plus I have "unique" children that actually admire the Clevers' wardrobes. a) From what I can see - your new pattern has wonderful decolletage/neckline. I like that triangular cut across the front of the shoulder from the back of the neck. If you use that part of the pattern I think your $10 will be well spent. I may spring for a vintage pattern if it's for a really unusual garment, or has some detail that I really can't figure out how to draft. I'd spring say $10. But most patterns that are published now are similar, and that's no different than it was before. If anything, fashion changed less, so the same dress got recycled for decades instead of a couple years. The illustration changed, but that's not buying you anything unless you plan to frame the envelope.. The only thing I think is really worth springing for is vintage Burda magazines, which are incredibly well-=fitting, before they decided to accomodate the US market in the early 90s. Of course most of the easily available ones are from the 80s, where fit is a sad illusion. And then there's Mrs Stylebook, each one of which is a jewel of patternmaking education. I buy patterns, both vintage and new, because it's a personal passion. My granny was a seamstress/dressmaker in the 1950'es. She has inspired me so much through the years and even though she's 80 now she, and her little books with drawings and fabric samples from back then, continues to be my biggest source of help and new ideas. I don't think I have an actual limit as to how much money I would spend on a pattern. It all depends on the brilliance of pattern (the drafting). For your $10, you've paid for someone else to do the drafting work. Yes, you could probably do it yourself, but how long would it take you to draft that sleeve and work out all the other small details? Would you get them right the first time? Of course, it's easier now that you've got the pattern in hand and you can see what the pieces look like. But if you didn't have it, where would you start? Even if you spent just 1-2 hours drafting, that's barely or less than minimum wage for your time. And we haven't even figured in the cost of any drafting supplies. $10 is a bargain. I have 30 years of experience sewing and I know how to make patterns but buying patterns save my life I have like 500 and I think I don.t have enough patterns. Buyin the pattern save tons of time and guessin I love patterns if I like a pattern idk about how much I have to spend. My mom paid $50 for pattern for my birthday last year. It's an incredible Vogue Nina Ricci 1962 dress and coat that is absolutely delish. I haven't had the nerve to do anything with it yet but I just like knowing it's there and periodically I take it out and drool. I have zillions of patterns thanks to JoAnns frequent $0.99 sales. When I first discovered vintage patterns I snapped up some not realizing that millions of sheath dress patterns from the 60s are out there. Now I am more choosy and I don't want to pay more than $3-$6 for one. I love to collect patterns and when they are on sale for 0.99 cents (what happened to the cents symbol on the keyboard anyway?) I can go a little nuts. I have noticed that pattern companies will use the same basic bodice or dress shape and then vary details (scoop vs. v neck) to encourage me to buy more. I have no interest in drafting my own patterns at this point. You bought the pattern for a raglan sleeve and wide neckline which will work. Believe me, either of those can be tricky to get right, particularly the sleeve. I am one of those people who blog about self-drafted projects (making a self-drafted jacket right now. this weekend: padstitching) and I do realise that may make my blog less appealing for readers. But I'm stubborn/perfectionistic/weird so I won't change my ways. If I buy patterns, I buy vintage but usually just for the art work or (same reason why I will look in sewing magazines) to see how feature X looks as a pattern piece. And I would never pay a lot of money for a pattern. Hi I've been reading the blog faithfully for a month now (it all started when Colette announced the sew-along on their blog), but this is my first comment. 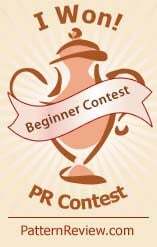 Love your blog, so much inspiration & tips & encouragement to just get out there & give it a try! $175 for a pattern? can you say "Regretsy" !? I actually just bought bought my first vintage pattern for $10 including shipping. I was a little disappointed that it was printed on paper instead of tissue paper, but I plan on retracing it on parchment paper anyway. (Any tips on ironing it flat first?) I do have probably a $20 limit on patterns, & I don't buy unless the seller has included a picture of the pattern pieces or the back of the envelope that shows the pattern pieces. I am just now getting back into garment making after a 13 year absence. I never thought about drafting my own pattern before. Hopefully one day I will gain the skills to give it a try. Thanks for giving me something to think about & shoot for! I really love looking at the covers of the vintage patterns, but I don't buy them. My daughter over at "Fashion Forestry" (on my blog list) just graduated from CCA in San Francisco, always gives me a hard time when I buy simple patterns, and keeps promising me that she is coming over to show me how to draft patterns etc. She does draping and all kinds of cool stuff. But to your point, it is highly annoying to pull everything out and see a huge rectangle and very similar pieces that you already are familiar with. I'm sure that eventually you will start to make your own, or start to mix up old ones. Get yourself a hip curve and a french curve and you can take the patterns you already have and turn them into just about anything. Here's another idea: when you find a bodice, skirt, sleeve, or whatever that you love, glue that piece onto oak tag (the thick brown paper patternmakers use for slopers) , cut around it, and then you can use it again and again. Then you don't have to worry about then falling to pieces after a few pinnings. Burda Magazine (along with others) has been putting the "draft it once, make many variations" model to good use forever! What's too much to pay for a vintage pattern? Well, my vintage patterns are kind of like old paperback books - a lot of fun to have around, but not necessarily relevant to today. They're a great library, and I like having that kind of resource around. Generally, I think I'd pay $15, max -- but I've only done that once, to replace a pattern I'd lost and always wanted to make. Otherwise, most of my vintage purchases are at antique malls, and run around one dollar. I WOULD pay up to $10 if there were special features I didn't want to bother with drafting; there was a sentimental/historic hook; or the look was exactly what I wanted. But $175? I'm with Marilyn's Rags -- that's one great splurge in NYC's fabric district. It's all about how much your time is worth to you. Once you have the ability to draft what you want, huzzahs! But if you end up spending 2 or 3 hours more on drafting & fitting than you would have spent fitting an already drafted pattern....well, do the math. If you can do it in 20 or 30 minutes, go for it! I'll spend $15-20 on an indie pattern because they can do what I can't. A year ago, when I re-entered the sewing world, my eyes & jaw popped WIDE open when I saw what patterns cost....now I know which pattern companies I respect, and they've earned my money! This is so interesting to read the comments. I love sewing and I frequently find sewing "stuff" at garage sales. I use quite a bit myself and also donate quite a bit but there is still enough to re-sell to support my habit. I have vintage patterns listed but cannot, in good conscience, list them for more than $10. I was about to list some Advance patterns in really good shape - uncut and lovely illustrations, but reading the above posts reaffirms my desire to make a little money so that some other person can acquire some cool little pattern and not break the bank doing so. Thanks for the fun commentary. And, I also, want to know where the 'cents' went on the keyboard (yes, I do know - in the 'symbols' up at top but I miss it on the keyboard). chortle . . . laugh . . . sputter. once again, you slay me. its been a top form mpb week. Grazie! Having said this, I would pay for a vintage pattern I loved if I knew I could adequately reproduce it. Or one with pedigree that's in perfect condition. I try not to go over $10 a pattern, that's only if it's nothing special. I also try to help myself by buying in my size. I learned early on that I bought A LOT of vintage patterns in a smaller size with the mission to resize it for a project but I realize I never do. Sadly, I don't ever attempt to draft. I've made too many mistakes to bother to do it again. Save myself the headache, right? I often create design ideas from what patterns I have by mixing and matching pattern pieces. I create another headache because I often leave many pattern pieces misplaced in other envolopes, like a random sleeve in a skirt pattern. When I first started sewing in the sixties, I did not use a pattern for skirts at all. just a strip for a waistband and 2 and a half yard for the skirt. Hem it and ready to go. Then I moved up to patterns when I made straight skirts and a-lines or blouses. Some of us spent money on patterns only when necessary, so they were not as plentiful in those days. The real heyday of patterns was the early seventies. The most I've ever spent on a vintage pattern is $10. And that includes shipping. Usually, I tend to buy in bulk lots and then try and resell what I don't want or will never use. And I go to dollar days at Joanns for patterns. And yeah, I know enough now that I could probably draft my own, but I have little enough time for sewing as it is! That being said, I really enjoy altering existing patterns to get a look that's only in my head... so as my pattern collection grows to cover the basics, I see myself buying fewer. Have you read the sewing instructions? There might be details you learn from reading the instructions, and I agree with the others who pointed out the great neckline. Would you really have drafted that yourself? At any rate this is a learning experience, and I imagine you'll get something out of making this piece. I'm too lazy to draft, and because I can get the Big 4 patterns cheap at JoAnn's, there's no point for me to. Perhaps I'm just not at the self-drafting point. I was given a pattern-drafting book for Christmas, and I will say that it's intriguing. I've been drafting period costumes for years, but it never occurred to me to draft a modern one. I've done a lot of medieval and renaissance costumes, and a lot of theater costumes (late antiquity to 1800's.) When I started doing this in the early 80's, there weren't a lot of patterns for historical clothing around. I've never made my own clothes for everyday or even for dress up. Maybe I should start. My first vintage pattern I snapped up for $1 way before anyone else thought they were worth anything. It's from the 50's it looks like a mini dress but its actually a swim suit. And it was my size!. I never made it, the thing was a little to complex for my skills at the time but I love it. Thats why I buy vintage patterns now I just love them. I especially love the mail order ones with the name and address of the original buyer. Or the original buyer has written notes on the pattern. A few of mine even have the newspaper add for the original pattern slipped inside. It means someone else had fallen in love with the pattern before just as I have now and I know a tiny bit about them. That being said, never more then $20 and it must be with 4 inches of my bust size. I'm a 40 so I try to find the pattern in a 40 but I will buy a 38 or a 42. I will also be tempted to spend more on patterns if the remind me of star wars or "Cry Baby" the movie even if they are no where near my size. It is a weakness. The amusing thing about ball gowns being three figures is that who wears ball gowns anymore? Im starting to look at my pattern collection and my dress form I made for $22 (Onda) and Im realizing that I can now draft those complex designs that I cant find in my size. Frankly most people are buying these patterns for the cover illustrations, or as wardrobe stock for films, or to reproduce later. Ive paid over $100 for a pattern. It was from the 30s, in my exact size and it had a full length coat along with the dress, so it was a pretty fair deal. I haven't made it yet, but I plan to make both one day. As for pricy patterns, Ive seen a 30s apron patter go for $200+. I find that obscene! But apron collectors are their own beast. I mean, who cant draft an apron? There is a filing cabinet full of patterns going back to the 30's in the basement. Mine, mom's, and Gramma's patterns. I have been re- tooling old patterns all of my life, because we sewed to save money. (Back when you could save by sewing your clothes. )I learned to look at the lines of a design, and decide if I already had the pattern. I often did. I recently made one of my old hippie chick patterns up as a stage costume for my niece. Like old times. I saw patterns on etsy that was literally beyond my means. And I do troll through the site and noticed that some are easy to make, especially when I have the patterns alike somewhere - like the Burda magazines or the likes. I would not pay that much for anything, unless it is an antique gold bracelet, but I digress.